Good drivers might be happy to learn that their positive habits behind the wheel not only help to keep them safe, but could make them more attractive as well. New research from the Institute of Advanced Motorists (IAM) has focused on the impact of poor driving on levels of attractiveness in potential partners, with women in particular finding bad driving a turn-off. 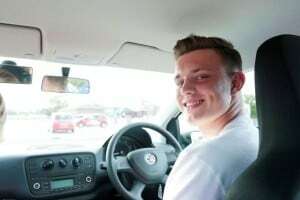 A survey of UK road users revealed four out of five women feel the attractiveness of a person is cut in half if they are a poor driver, while 50 per cent of male drivers said the same. Participants were asked to score the attractiveness of individuals before watching videos of good and bad driving practices by these people. In addition, the physiological responses of the group were recorded. The results showed that, in the majority of cases, poor driving practices resulted in increased heart rates, pupil dilation and negative body language – all signs that individuals watching the videos were in distress. When the participants were again asked to score the attractiveness of those they had seen on the screens after the short films, levels of attractiveness for the poor drivers fell considerably.